The NHL's choice to bar its players from the Olympics is having an expectedly drastic effect on ratings for the Games' hockey tournament. 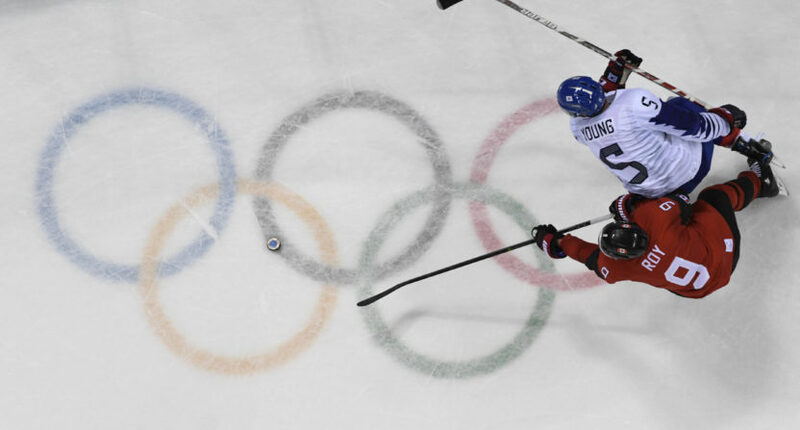 NBC’s shot at projected strong viewership for this winter’s Olympic hockey tournament ended on May 29, 2017, when the NHL announced that its players would not be allowed to participate. Nine months later, the Olympic group stages are through, and NBC is indeed suffering from an absence of hockey stars. In an interview with Sports Illustrated’s Richard Deitsch published Monday, NBC Sports chairman Mark Lazarus acknowledged that Olympic hockey’s viewership is down significantly from this point four years ago. SI: How much has hockey viewership been hurt by the NHL players not being there? Lazarus: A bit. It is early in the men’s tournament and we have not seen the big games yet but we are off roughly in the high 20s or low 30s. It has been affected. The [broadcast] windows are pretty similar so it is close to an apples to apples comparison. Listen, I think it is bad for hockey everywhere. Our numbers are off and if you look at the RSN numbers for every NHL team over this week-long period, at least when I looked at it, all but two teams were off versus a year ago in this window. So it is not good for anybody’s hockey ratings. The drop in ratings for Olympic hockey is certainly no shock, but it nevertheless underscores the extent to which viewers tune in to see stars on the hockey side. Sure, the Olympics are a time to appreciate lesser known athletes, but most fans simply won’t be as geeked about Ben Scrivens and Igor Shestyorkin as they would be about Sidney Crosby and Alexander Ovechkin, no matter what the front of the jersey says. It’s easy to understand why the NHL doesn’t want its players in the Olympics, but it’s also quite sad to see one of the Games’ most compelling events stripped of some of the drama and intrigue that comes from watching the world’s best players share the ice. In his chat with Deitsch, Lazarus also discussed the Olympics’ ratings writ large, which are down a bit from Sochi in primetime. SI: As of early last week your coverage trailed the Sochi Olympics in viewership by roughly 6%. Have those numbers changed? Lazarus: We are off 6% in primetime but we are up in what we are calling prime-plus, what you would historically know as late night, is up 28%. Our streaming numbers are through the roof. Media consumption has changed a lot and what the Olympics has shown is a resiliency over a four year period that I think is unmatched in primetime television given the decline collectively the broadcast networks have seen in the primetime window. Though it’s sometimes tough to separate reality from spin, Lazarus makes a fair point about changing media consumption. As viewers ditch linear television for digital streaming, most TV properties’ ratings have suffered to one extent or another. Given that trend, plus the suboptimal time difference between the U.S. and South Korea, a 6 percent primetime dip from 2014 doesn’t seem so bad for NBC. Overall, we can’t conclude too much about Olympic ratings until the Games are complete, but one trick for boosting future viewership seems pretty foolproof: beg the NHL to come back.